The Lamar University College of Business offers students a superior business curriculum. We are distinctive because of the important advantages we offer. Our strong and experienced faculty is committed to teaching and research, and care deeply about our students. Full- time faculty teaches more than 80 percent of our sections and we maintain a low student-faculty ratio. Students learn in a highly interactive environment. An impressive network of accomplished business alumni provide our students with speakers, internships, career opportunities, and valuable ongoing support throughout their professional lives. Lamar University requires all applicants to provide GMAT scores, undergraduate transcripts, essays, and TOEFL scores (for students whose native language is not English). An interview, letters of recommendation, personal statement, resume, and evidence of computer experience are all recommended but not required; all are taken into account in renderi...Lamar University requires all applicants to provide GMAT scores, undergraduate transcripts, essays, and TOEFL scores (for students whose native language is not English). An interview, letters of recommendation, personal statement, resume, and evidence of computer experience are all recommended but not required; all are taken into account in rendering an admissions decision. Applicants must earn a score of at least 950 under the formula (200 multiplied by GPA plus GMAT score) or a score of 1000 under the formula (200 multiplied by GPA for final 60 semester hours of undergraduate work plus GMAT score). In both cases, a minimum GMAT score of 450 is required for unconditional admission; students with scores between 400 and 450 qualify for conditional admission. International applicants must provide proof of financial support. 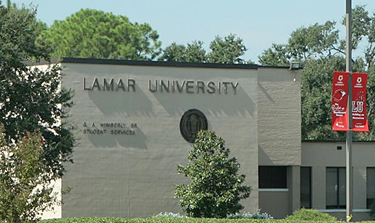 The Career and Testing Center at Lamar provides services for all undergraduates, grad­uate students, and alumni of the university. Services include counseling, workshops, online job database access, and recruitment events. The majority of Lamar MBAs work full time while attending the program. Many do not plan to leave their employers dur­ing or after the program.Employers who most frequently hire graduates include: Ernst and Young, Melton and Melton, Merrill Lynch, Smith Barney, JP Morgan Chase, Medical Center of Southeast Texas, Wells Fargo, and Verizon. LU Student Chapter of the National Association of Black Accountants. National Black Law Students Association College Student Division. Want more info about Lamar University, College of Business Full Time MBA? Get free advice from education experts and Noodle community members.